“Ch’arki”, (which literally translates into “dried meat”) is a name derived from the Quechuan language of the Incas. It later evolved into what we now call jerky. The discovery of Jerky enabled humans to store food for long periods of time, it also made it much easier to be carried and a dense source of nutrition on journeys. Jerky is both flavorful and compact and almost any meat (except pork) can be made into jerky. There is some debate as to who made the first jerky, some say Native Americans were the first (buffalo jerky) thousands of years ago, while others insist an ancient Inca tribe called the Quechua made jerky as early as the 1500’s. When the first Europeans arrived and discovered Natives were making a dried meat product that could be stored and did not required eating immediately they instantly knew the benefits of jerky to them. What the Native American tribes called “pemmican” was jerky meat added to either crushed dried fruit or animal fat. The Native Americans taught the settlers how to cut and prepare the meat into long strips and later shared with them the entire jerky-making process and some variations of seasonings to make different recipes. With this newfound knowledge and time-tested recipe, the European pioneers found themselves cooking and consuming jerky more than ever before; it was absolutely the snack of choice. 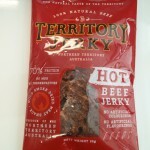 Jerky reached its height of popularity during the expansion into North America, where traders and explorers prized it as an essential source of nutrition as they traveled to new areas with limited accessibility to fresh food and supplies along the way. The fact that meat could be hunted anywhere along the trails that the settlers were following to the West made this method of preparing meat an extremely valuable skill. This was also the introduction of other jerky meat types such as turkey, goose, and other wild game. 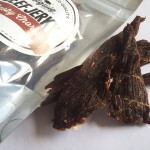 As the industrial age in America approached many companies saw the potential of producing jerky products in large quantities for mass consumption. 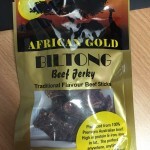 Today millions of people around the world now enjoy jerky products. Join the bandwagon and enjoy the world’s healthiest and best tasting snack!